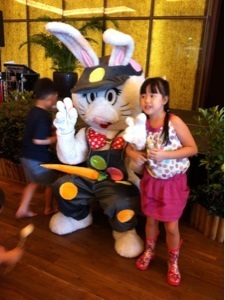 Our professional mascot artistes make a difference in your event! 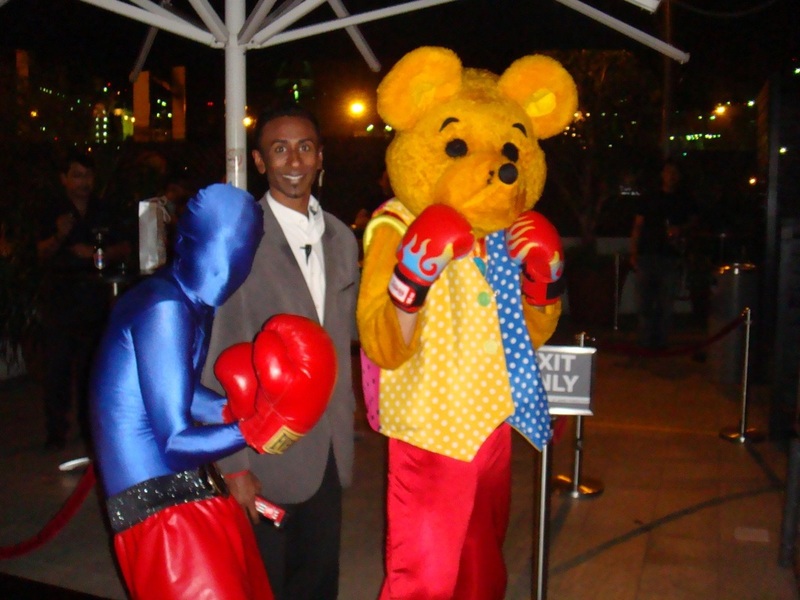 Hiring a proper artiste makes your mascot stand out and memorable. We also have mascot characters for hire, do let us know what you are looking for! 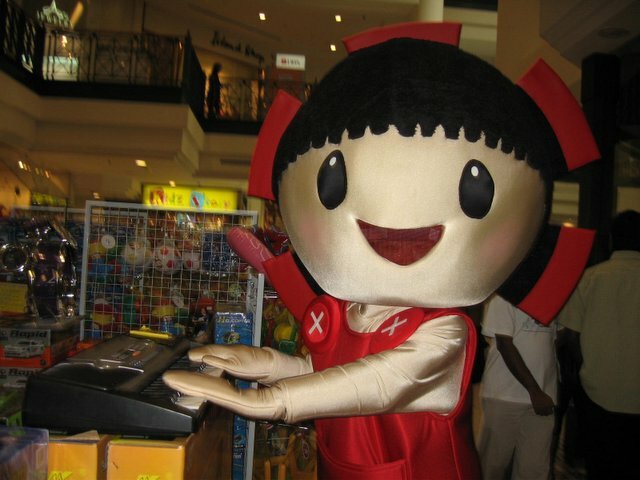 Besides mascot characters, we have many other interesting characters who are suitable for different themes too, do browse and take a look! 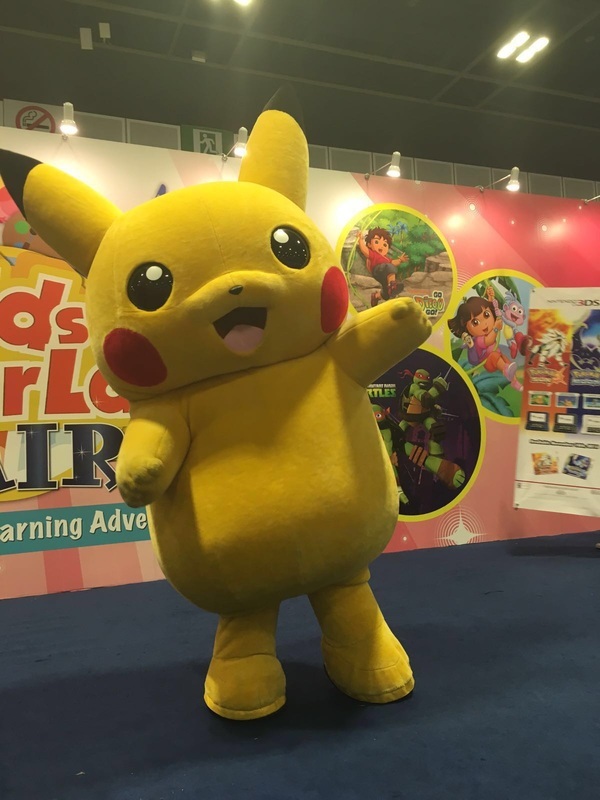 We are a mascot brokerage company, meaning, based on your character, we assist to bring you the best mascot maker to create your mascot from start to delivery. Different mascot creators have different methods, and looking at your design, we will propose the best way to make your graphic come alive. 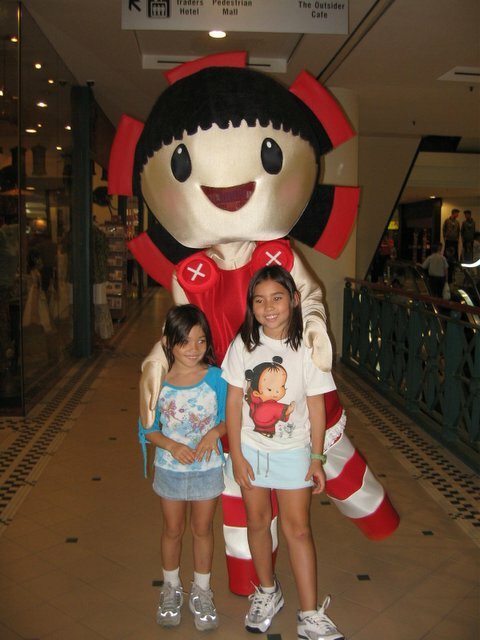 Typically, a custom made mascot costs from $2000 - $8000 depending on what is needed. 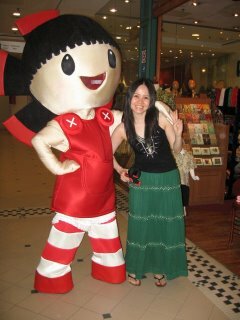 If you have an idea for a mascot and no idea where to make it, we can assist you on that! All you need is a front, back and side illustration of your character and we can send you a quote based on that. Do give us as much detail as possible about your product and your mascot, also, expected delivery date as that has an impact on the pricing as well. Please upload your graphic so we can quote you soonest! 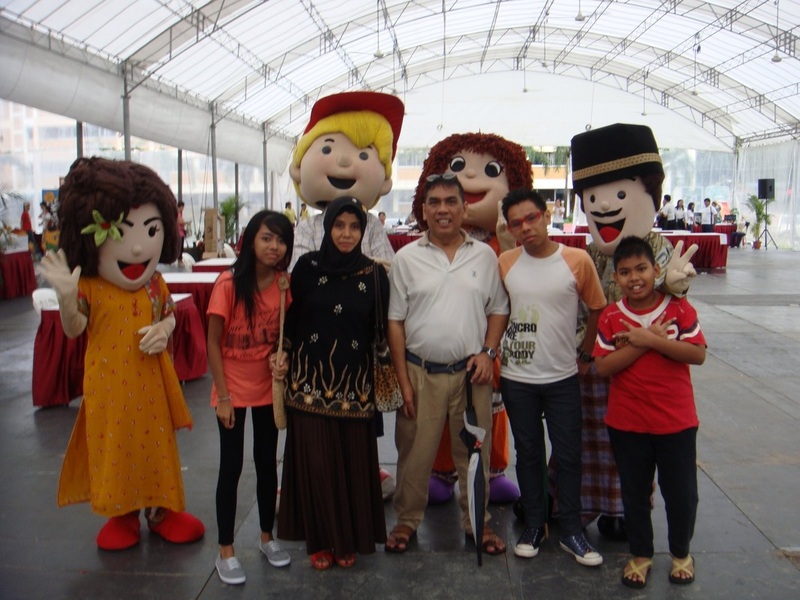 Mascot Characters available for your next party! 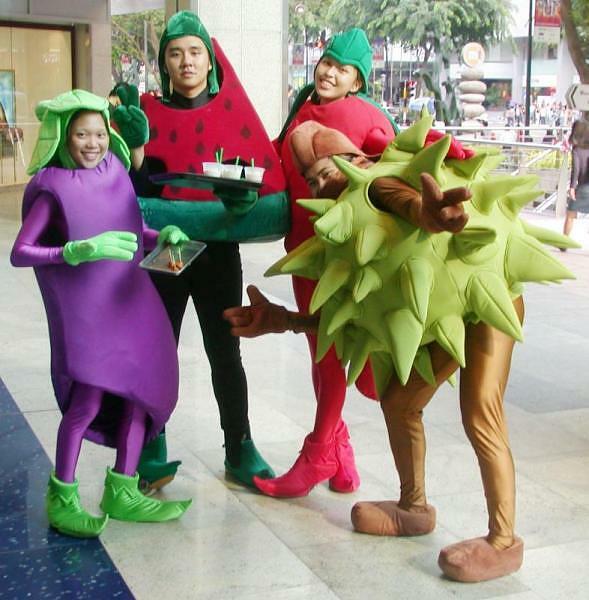 We have all kinds of mascot characters that can fit your theme, even the multi-racial set or our fruit and vegetable series. 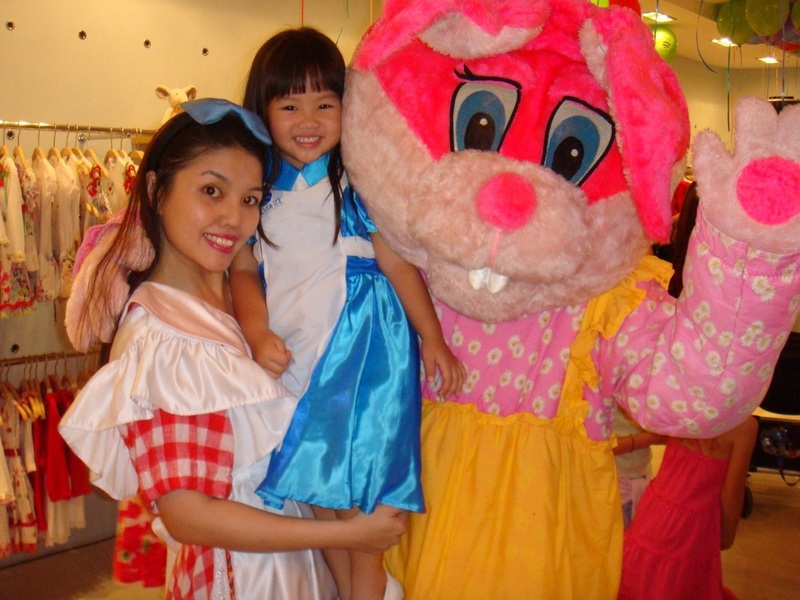 We have mascot characters depending on your theme - during Easter and Mooncake Festival, our bunny rabbit is mighty popular, and for birthdays, our big mice are a hit! 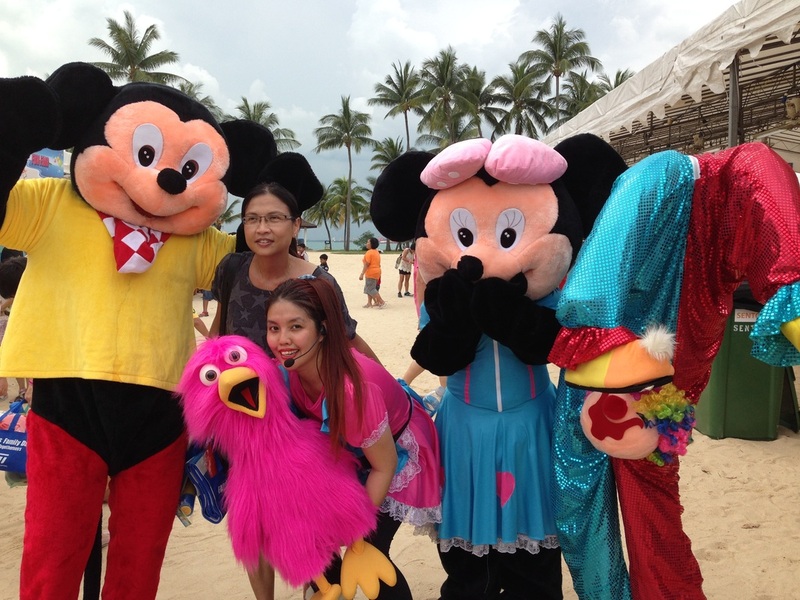 If you have the costume, we can provide the performer for you as well. 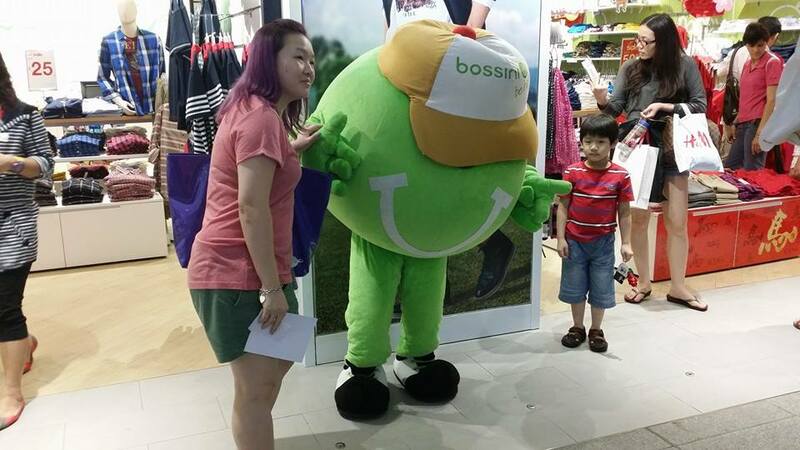 This is Bossini's super cute mascot, and we had to find someone who is about 1.5m for this. 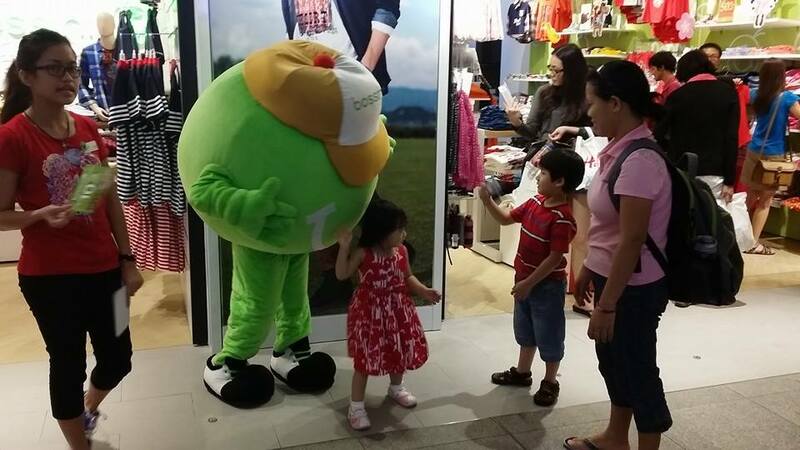 Extremely heavy with arms that are pretty short, our mascot artiste managed to dance and mingle with the crowd. 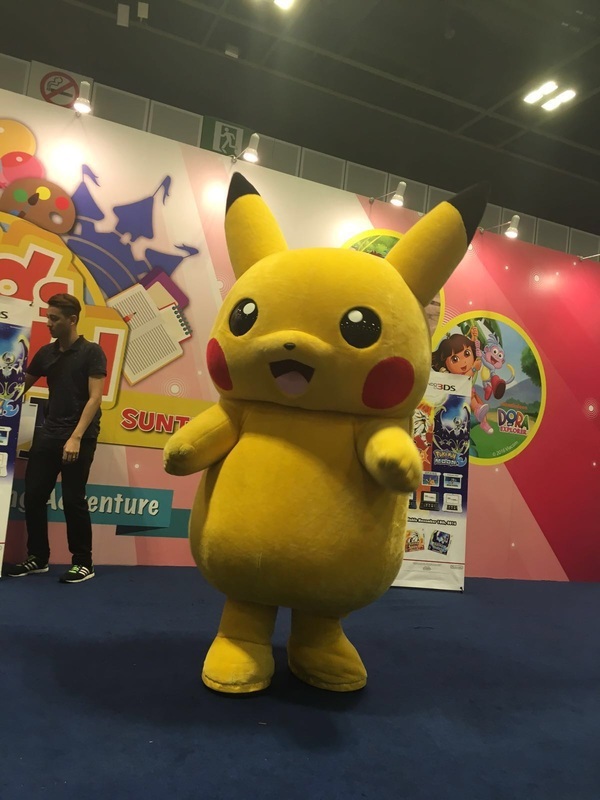 A short video to show our Pikachu Mascot Talent in action!